The research was published in this month's ZooKeys. 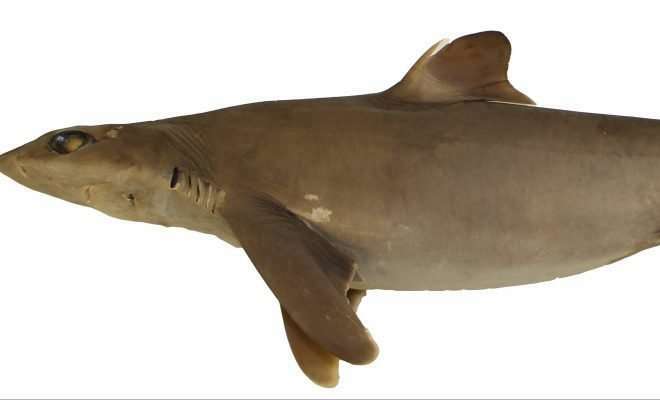 Similar to research done in the discovery earlier this year of the new species Genie's Dogfish, the team analyzed the physical characteristics and DNA makeup of the Hawaiian spurdog species. The dogfish was compared to its nearby counterpart, the Japanese S. mitsukurii, known as the shortspine spurdog. The researchers discovered a difference in dorsal fin size and interdorsal length. Whole specimens and tissue samples from S. mitsukurii were analyzed from both prior collections and the current day. "The whole reason we study biodiversity is because we know the more diverse the environment, the more diverse genetically an animal is, the healthier the population or species is," Daly-Engel said. The discovery of the Hawaiian spurdog can lead to better conservation of the species to protect the area's biodiversity, she said. "There aren't that many sharks in Hawaii, and now that we know there's one that is there and potentially nowhere else in the world, we can take steps to protect it if it becomes vulnerable to overfishing," Daly-Engel added.